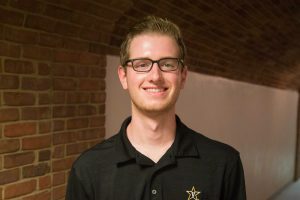 Cutler Klein ('19) is the Sports Editor of the Vanderbilt Hustler. He previously served as Assistant Sports Editor. He is majoring in Communication Studies in the College of Arts and Science. When he's not writing stories, tweeting silly GIFs or watching any hockey game he can find, Cutler is running the sports department of VandyRadio, hosting VU Sports Wired on VTV and covering the Nashville Predators as a credentialed media member for Penalty Box Radio. Cutler has had bylines on NHL.com and VegasGoldenKnights.com.